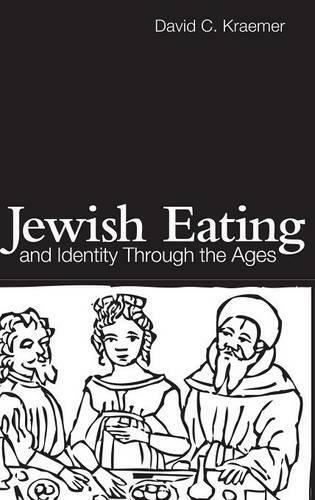 This book explores the history of Jewish eating and Jewish identity, from the Bible to the present. The lessons of this book rest squarely on the much-quoted insight: 'you are what you eat.' But this book goes beyond that simple truism to recognise that you are not only what you eat, but also how, when, where and with whom you eat. This book begins at the beginning - with the Torah - and then follows the history of Jewish eating until the modern age and even into our own day. Along the way, it travels from Jewish homes in the Holy Land and Babylonia (Iraq) to France and Spain and Italy, then to Germany and Poland and finally to the United States of America. It looks at significant developments in Jewish eating in all ages: in the ancient Near East and Persia, in the Classical age, throughout the Middle Ages and into Modernity. It pays careful attention to Jewish eating laws (halakha) in each time and place, but it does not stop there: it also looks for Jews who bend and break the law, who eat like Romans or Christians regardless of the law and who develop their own hybrid customs according to their own 'laws', whatever Jewish tradition might tell them. In this colourful history of Jewish eating, we get more than a taste of how expressive and crucial eating choices have always been.